One of last vacant industrial sites left in the popular Great SW Industrial District. 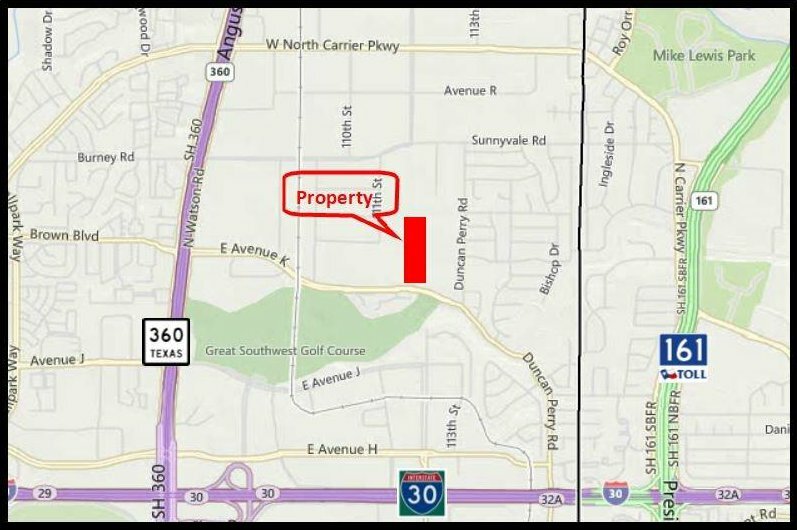 Seller owns over 16 acres here, but will retain 2 acres for an existing gas well site. It is located at the NWC of Avenue K East and the Great Southwest Parkway ROW which has no road yet and no full ROW established. Good shape, workable terrain with non-flood creek, well site easement in rear at creek area. Zoned LI Light Industrial. Water and sewer available.